Six French women stood trial Monday in a defamation lawsuit brought by a former lawmaker they accused of sexual misconduct one and a half years before the #MeToo movement. Four journalists who published allegations from the women and eight others in May 2016 also are defendants in the case filed by Denis Baupin, who resigned his leadership post in parliament's lower house when the media reports came out. Baupin's lawyer, Emmanuel Pierrat, said his client was the victim of "media lynching" and expects his "innocence" will be "totally proved" during the four-day trial in Paris. The defendants said they regard the proceedings as a test of French women's ability to speak out when they think powerful men sexually harassed or abused them. The lawsuit arose from reports by investigative website Mediapart and radio station France Inter based on accounts from 14 women who alleged he had groped, sexted and otherwise harassed them. The alleged harassment took place from 1998 to 2013. "It's a trial that exposes how men in politics, in the business world, finance world, in journalism as well can use their position of power," Mediapart editorial director Edwy Plenel said. 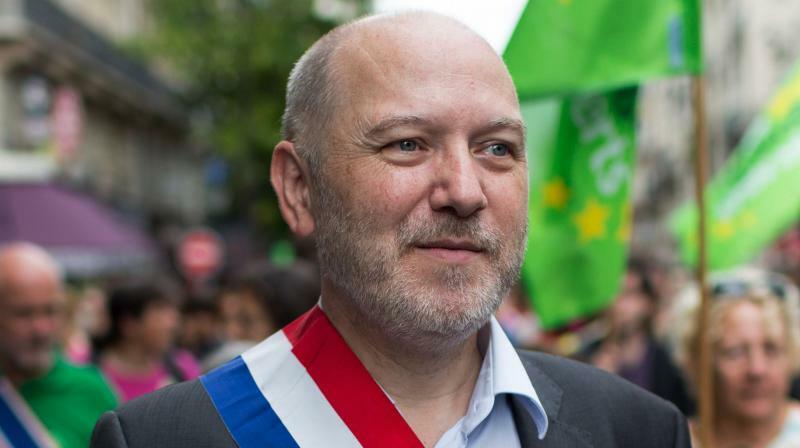 Baupin, a prominent Green Party politician and former Paris city official at the time, denied wrongdoing. He sued the six women named in the reports, the journalists and two men who were quoted saying they witnessed some of the alleged misbehaviour. Most of the women who spoke about were fellow Green Party members. Four filed criminal complaints for sexual harassment. A nine-month judicial investigation ended without charges, with prosecutors saying the statute of limitations had expired. Baupin was not in court Monday and doesn't plan to attend the trial. Defense lawyers requested an order forcing him to appear, but the judge said that as the plaintiff Baupin had the right not to be there. The women accused of defamation said they resented the situation. It was "a disgrace" to be "sitting on the bench of the accused when this man hasn't even been judged," Elen Debost, an elected official in the town of Le Mans, in central France, said. Debost alleged she received dozens of unwanted text messages of a sexual nature from Baupin in 2011. Annie Lahmer, a Green member serving on the Paris region council, alleges Baupin told her she would not be able to have a career in the party after he chased her around an office desk in 1999 and she made it clear his behaviour was unacceptable. "It's complicated but at the same time, it was a necessary stage to go through," Lahmer said of deciding to go public with her allegations in 2016. "It's even more absurd because Baupin is not here. He brought on an accusation against us, but he is not here. So that's where my anger is."